Why doesn’t Europe respond to the threat of shutting down Russian gas transit declared by Ukraine? The other day the information has appeared containing a statement of Mr. Kobolev, Chairman of the Board of "Naftogaz Ukraine". The essence of his statement is that Russia will shut off gas supplies to Europe, as it happened in the winter 2009. Where does such a confidence come from? And what do we, Europeans really have to grasp from that message? The basic meaning of that statement consists in the fact that Ukraine will siphon off gas from the export pipeline this winter. It is no coincidence that we are sent back to the story of 2009. What happened in winter 2009? 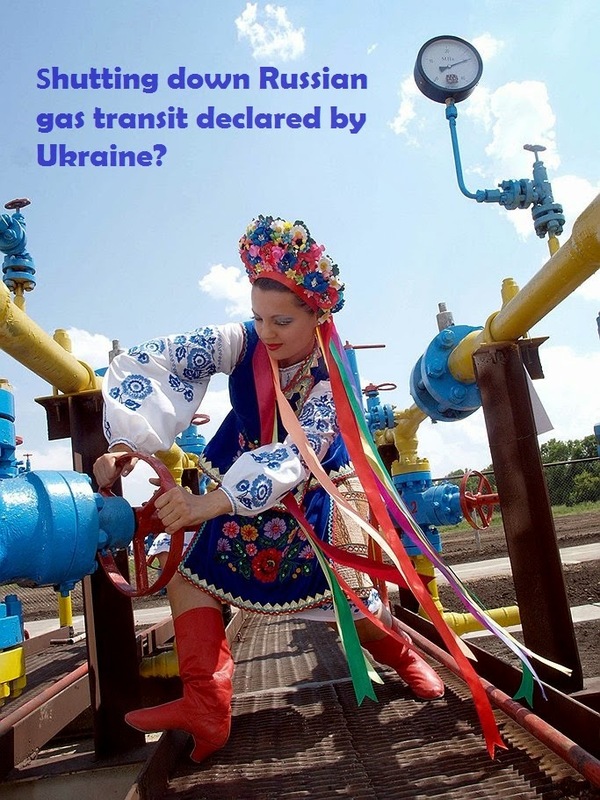 And why was the gas transit through Ukraine to Europe disrupted? At that time in the absence of a contract, Ukraine siphoned off an export gas as much as they needed, and the Russian side refused to compensate for such an illegal takeoff. As a result of the conflict Russia shut off gas to Ukraine first since January 1, 2009 and after that since January 5 the gas supplies for European consumers were lowered. And then on January 7 the transit of Russian gas through Ukrainian territory was completely discontinued. After reaching agreements on prices and signing relevant contracts in Moscow on January 19 the supplies of gas to Ukraine and transit to Europe resumed next day. Thus, in the coldest part of winter for more than a fortnight Europe was surviving without the transit gas from Ukraine. Meanwhile now, dear friends, there is a motion to suppress an undeniable fact that in 2009 Ukraine has neglected its transit responsibilities and their illegal actions caused shutting off the supplies of gas to Europe. In other words, in winter 2009 Ukraine focused on their own challenges of supplying gas to meet a local demand to the detriment of gas consumers in European countries. In this context, the current statement of Mr. Kobolev should be regarded as a signal to Europe, in response to which our Europe has remained silent! But silence, as we know, means consent! That is, as it turns out, we agree that Ukraine will again siphon off the transit gas intended for Europe? !